The Associated Press apparently is considering whether to make a ruling against the Redskins name when it comes to its influential AP Stylebook. 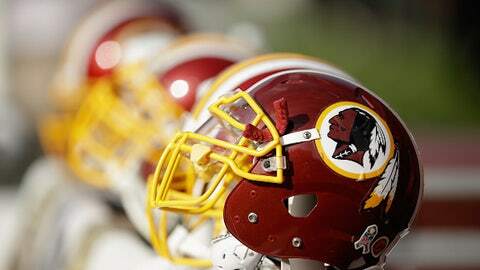 The Redskins nickname has been the forgotten NFL controversy of the past several months. With concussions and domestic violence dominating the off-field headlines, the nickname debate circling around the Washington NFL franchise has moved to the backburner recently. However, some interesting developments from The Associated Press could move it back front and center. The organization is considering whether to make a ruling against the polarizing nickname when it comes to the influential AP Stylebook. The Associated Press is mulling over usage of the term “Redskins” as it relates to the Washington, D.C. football team, but has not decided whether to make a ruling on the controversial word yet. The topic is of interest to the AP Stylebook committee, which meets weekly between October and March, said AP Stylebook co-editor David Minthorn. The word’s usage is an “active topic” that the stylebook might make a ruling on. Minthorn fielded the question at the annual American Copy Editors Society gathering in Pittsburgh, where he and Associated Press assistant business editor Philana Patterson were previewing changes to the 2015 edition of the AP Stylebook, which determines the lingua franca for English-language journalists around the world. We’ve seen several prominent sportswriters and NFL personalities personally make the decision to boycott the Redskins nickname. We’ve seen prominent local newspapers in big markets boycott the Redskins nickname. We’ve seen websites do the same. A lot of people aren’t using the Redskins nickname. And although it’s had some impact on the controversy, it really hasn’t been enough to move the franchise or NFL commissioner Roger Goodell to take action. Additionally, the boycotts haven’t been enough to turn the tide of public support in a transformational way. Opposition to the nickname did rise 9 percent in the past year, but it still sits at just 23 percent in an "Outside the Lines" poll. That’s compared to 71 percent who want the nickname to remain the same. 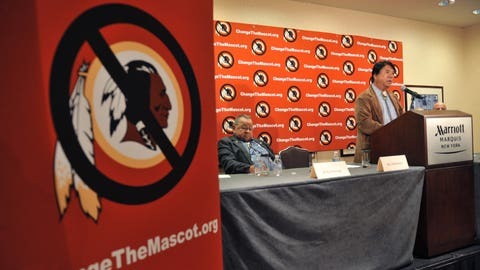 Native American mascots costly for teams? However, The Associated Press and its heralded Stylebook would be the biggest blow to the Redskins nickname by far, perhaps more significant than every other individual boycott put together. You wouldn’t see “Redskins” in any wire report, game recap, news story, or anywhere that runs stories from the AP. That’s a lot of content, and that’s a big deal. If the AP strikes the nickname from the record, the word "Redskins" would disappear from a near-uncountable number of print and digital platforms across the country and beyond. It would also become standard protocol to not use the nickname in journalism circles beyond any individual feeling on the matter. That’s a lot more significant than anything Bill Simmons or Peter King may decide to do. The Redskins nickname survived a tidal wave of opposition when it was *the* NFL scandal du jour. A potential AP boycott would be enough to bring it back into the spotlight. But would it be enough to lead a further push to change, or have those battle lines already been set in stone? At this point, one has to wonder whether even an AP Stylebook decision against the Redskins nickname would be enough to influence the only people who can actually change it.